Updates to Lucy A's profile since your last visit are highlighted in yellow. Elizabeth, born 1969 married to Jason Cox.....parents of two wonderful grandchildren; Britney 23, and More…Andrew 18....living 20 minutes away in Edgewood, Ky.
Matthew, born 1972 Still single and living in Los Angeles. Matthew is a personal fitness trainer and more recently an artist. Check out his website; www.newvinciart.com On April 17, 2018 Sam and I became great grandparents to a health, beautiful baby boy. Never dreamed we would become grandparents. Mother, father and baby are doing fine. Baby's name is Lincoln Edward Brockman. Graduate of The Fashion Institute of Technology in New York. 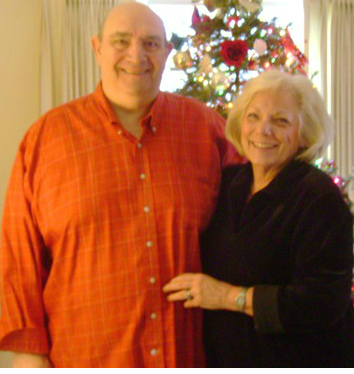 May 2013 marks 45 years with husband Sam. ( Met Sam my first year at Miami U. Ohio.) Raised 2 children and involved in school, church and community volunteer efforts for 18 years. Entered the professional work force in 1988. Managed women's retail stores with Talbots and Coldwater Creek ...total years worked - 23. While at Coldwater in addition to being a store manager I became an orientation trainer. Trained a total of 1500 associates..opening 50 stores. Met and worked with some incredible people and traveled all over the US. Retired in Oct. 2011. Introduced to western horseback riding which has been a wonderful experience. Have developed new friendships and love and care for a magnificent 20 year old quarter horse named Brown Sugar. Brown Sugar and I are aging gracefully together. Love having more time to be with family and Brown Sugar. Living a life of gratitude....for me...it is the only way to exist. 2018, still riding and caring for Brown Sugar. He is 21. We are aging together. Wish I could be with you on our 55th. Husband's health will prevent that. Hope you all have a wonderful time! Blessings to all! I have many very fond memories of life at Shaker High......especially experiences in the choir and Chanticleers with Mr. Ellis and map making sessions for Mr. Meshinberg's Modern European History class. How fortunate we were to attend Shaker! Returning to Shaker at end of lunch period in a 1956 Desoto loaded with friends, getting caught going a little to fast around the oval....caught in a speed trap. I will never forget how scarred I was! Mr Morris nicknamed me "Speedy." I continue to watch the speed limit to this day! Unfortunately I will not be able to attend the reunion. Sam has several health issues and he is not able to travel. I am not comfortable leaving him. I know the reunion will be a huge success .....I hope lots of photos will be taken and some sort of book will be available for purchase sometime after the reunion. Best wishes to everyone! Lucy A Hoffman Vinci updated profile. View. Lucy A Hoffman Vinci has a birthday today. Lucy A Hoffman Vinci has left an In Memory comment for Profile. In 1959 my family moved from St Louis, Mo. to Grenway Rd in Shaker. When school started Ann befriended me on the school bus heading towards Bryon Jr. High. I have never forgotten her kindness towards me at a rather scary time in my life. I will always remember her beautiful smile! RIP Ann. Sympathy to Ann's family! Lucy A Hoffman Vinci posted a message. Hi Ken, Hope you have a very happy birthday! Lucy A Hoffman Vinci posted a message. New comment added. Happy Happy Birthday Judy. Here's to another year around the sun! Lucy A Hoffman Vinci added a comment on Profile. Hi Harry, Hope you have a marvelous birthday! Hi Lois, Happy Happy Birthday! Lucy A Hoffman Vinci added a photo to profile gallery. New comment added. Hope you have a wonderful day and a great year.....Happy Birthday Judy!